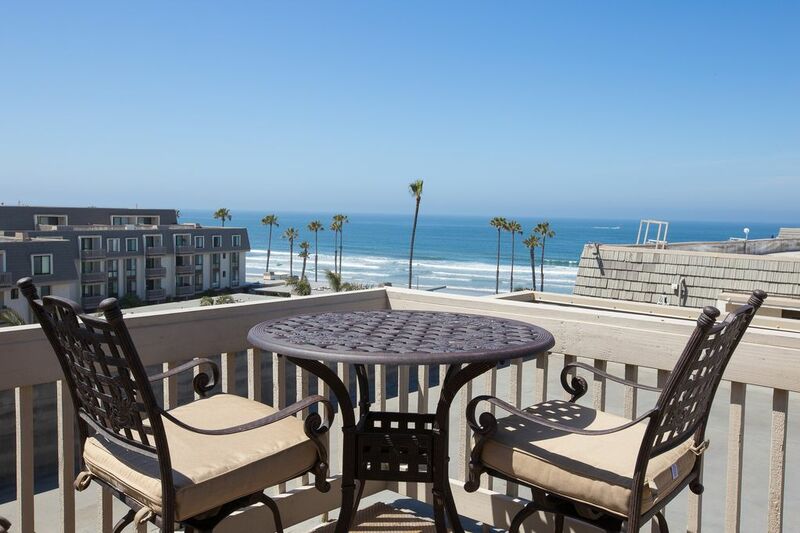 We recently purchased this 2 Bedroom/2 Bath Condo after years of coming and enjoying the Oceanside Beaches and the North Coast Village Complex! We are very excited to offer it to family, friends, and guests knowing that they will enjoy a peaceful, yet fun-filled vacation. We want our guests to feel at home during their stay, so the condo is fully equiped with all the amenities of home. The North Coast Village complex has lots to offer, and we hope you take advantage of all the activities while on your stay! Oceanside is up and coming and has some of the cleanest beaches in San Diego County. North Coast Village is one the nicest resort-type complexes and it is centrically located to many wonderful shops, restaurants, and parks. Come visit us and see for yourself the great vacation that awaits you! Our condo is fully equipped with everything one could want while on vacation: beach towels, chairs, umbrella, rolling cooler, and boogie boards (with some wet suits). Since the condo was recently remodeled, all the items supplied in the condo for your use are brand new! The view from our penthouse balcony is spectacular and sunsets never looked so good! The complex gives guests a lot to do, and the HOA staff is friendly and helpful! Both bathrooms offer separate vanity areas from combo tub/shower and toilet room. The Guest bathroom has a double sink vanity area. Gorgeous beach view from Huge Rooftop balcony and living room balcony. Gorgeous ocean view from Huge Rooftop balcony and living room balcony. There is no land line in the condo it is best to use your cell phone and if from out of the country to buy a GO phone. 400-500 count sheets, alternative down blankets, alternative down pillows with protective covers to keep them clean and germ free, as well as, anti-allergen. Laundry Room is available in every building of NCV. Machines are nicely kept and are coin-operated. Laundry Room is available in every building of NCV. Dryers are nicely kept and are coin-operated. Public Parking available across the street from NCV complex. Unit assigned parking located right next to elevator! Beach towels, as well as, bathing/hand/wash towels. W-IFI access in all living spaces. Large side-by-side door style with ice maker. Basic cooking ingredients (salt, pepper, spices, oil,) and paper goods (plastic wrap, aluminum paper, ziplock bags. Fully equipped with brand new cooking tools and appliances! Everything you need to prepare a holiday feast is at your disposal! Music Tower for ipod, ipad, mp3 compatible devices. Large balcony off Living Room with 4 Patio Barstools and matching table. Huge roof-top balcony, 1 table for 6, 2 lounge chairs, 4 Patio Barstools with 2 matching Bistro Bar tables, and still plenty of room to move around! Condo was newly remodeled within the last year! Penthouse balcony is the largest in the NCV complex and has no immediate neighbors in front and back neighbor is well separated. This feature provides lots of privacy! This condo was a beautiful place to stay. It had everything you needed...and if it wasn't there, there was shopping nearby. WE were very satisfied with all the dishes, toys, towels, etc. We began our stay with a few issues related to wifi and dishwasher not working well, but with a quick call/email to Liz, the property manager, things got worked out. She was prompt on her end of things. The grounds were over-the-top beautiful, the pool was wonderful and spacious, and the hot tub relaxing. The beaches were great, the pier was a daily walk for us, and the attractions were close enough to enjoy. The people were very pleasant and kind. :) We wish we could stay longer! Thank you for the wonderful use of your condo. We hope to return! You can hear the ocean! Not only can you see the ocean but your can hear it from the living room and balconies. The condo is comfortable and wonderful in every way. My granddaughter enjoyed the pool and hot tub. We enjoyed the outdoors as much as the indoors. We had everything we needed and were just steps from the ocean. We took a nighttime stroll on the beach which was so peaceful. We loved the inside and all 6 of us had our own space with the comforts of home. No, even better than home. Thank you for allowing us to use your home and we hope we will be back soon. Love the property. This was our second stay there and hoping to come back again! We found the condo to be well appointed, very clean and overall comfortable for our family of 4. The property grounds are well maintained and secure, with beach access conveniently located in front of the property. We were fully aware that we were staying at the condo during a hot time of the year, and that the property does not have A/C, but rather relies on the ocean to cool the unit. We did find that the unit would finally cool down in the evening with all windows open/fans running, but we were not prepared for the numerous trains (located within a few blocks of unit) and accompanying extremely loud noise (including blaring horns) that occurred each night/early AM, making for restless nights for even the heaviest sleepers. Overall, we would recommend this unit, but only during times of year when temperature allows for windows to be shut at night. This unit has great views of the ocean from the porch and the rooftop. We love access to the beach, but also access to the pools and other amenities. We loved our stay in this great condo. Great access to the beach, comfortable rooms/beds and beautiful views. We would definitely stay here again. Close to the Wild Animal Park, Legoland, Sea World, The San Diego Zoo, Camp Pendleton, The Carlsbad Outlets & in the Heart of the World-Famous Flower Fields of Carlsbad. Special Offer does not include taxes or cleaning fees. Rates are subject to change without notice until booked. Spring break and holidays are subject to change due to season.